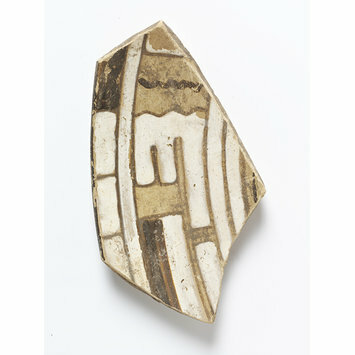 Fragment of buff unglazed earthenware from a dish, painted with a pattern in soft brown lines with areas of white and black slip. The fragment of decoration shows a pattern of concentric circles enclosing key-like and other devices. 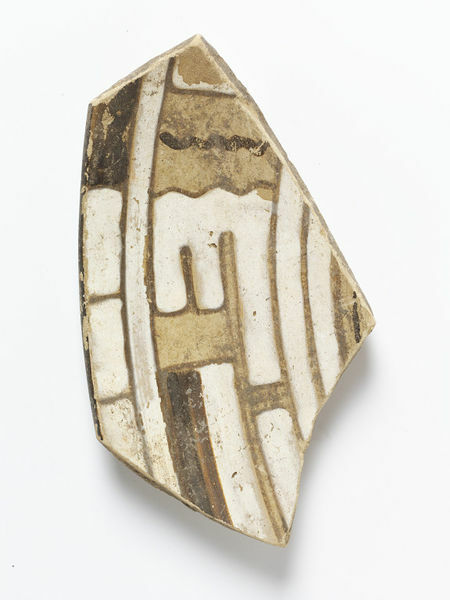 Fragment of buff unglazed earthenware from a dish, decorated with slips, Mexico, 1200-1500.